This ranch list will give you some insight into where the early ranches were and what became of them. 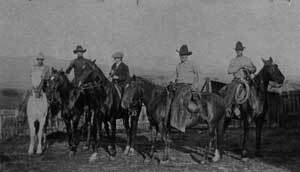 The story of the Douglas County Pioneers continues through these ranches. 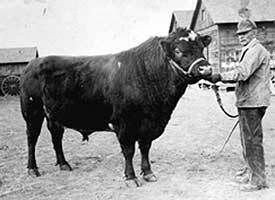 The Douglas County Ranching Family Tree has a span of over 150 years and shows an ever changing county. When the ranch’s name changed, sometimes, so did the acreage. Future additions to this list will show an overlapping of ownership and an ever changing map. This is the life that many dreamed of cutting out of the frontier for themselves. The life that these pioneers made for themselves did not only include cattle and horses, as you will read. Photos and maps are also shown to help round out the story. A piece of poetry about these old timers from 1922 gives more insight into how meaningful these people were to each others lives and can be read here. The information that you will find is not all inclusive, if you have additions, corrections or questions, please write to the e-mail address provided on this web site. Click on the ranch names to read the biographies. The links will be going live over time, please check back often for additions to our list. Alderman Ranch, Newton a.k.a. ; Silver State Farm, Cherry Creek Ranch= Spring Valley E. Cherry Creek. Ben Lomond Ranch = Greenland. a.k.a. ; Bennet, Oakes & Daniels Ranch, Joseph F. Bennet Family, Harold Higginson Family. Brennan Ranch, Peter = Larkspur /Perry Park aka: Ford Place, Wallace Turner ranch. Eagle Mountain Ranch = Greenland. a.k.a. ; The Noe Family, I.J. Noe. Feather Ridge Farm = Spring or Cherry Valley. a.k.a. ; Andy Seaburg Ranch, Russell Dahlberg Ranch. Green Ranch, Simeon = Greenland . a.k.a. 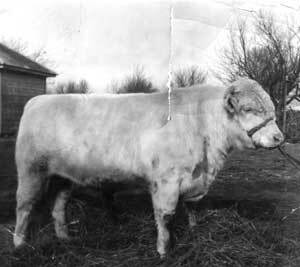 ; HX Ranch or Noble, Munson & Black Cattle Company; Mr. Church; Jerome C. Babcock Ranch. Greenland Ranch = Greenland. a.k.a. ; Greenland Breeding Farm. Hudson & Butler Ranch, Algernon Hudson & Henry R. Butler Greenland. a.k.a. ; Isaac Hopkins Ranch. Jackson Creek Ranch = Glen Grove. Newton Grout Family. Kinner Ranch, John = Larkspur . a.k.a. ; Joseph Kerr Ranch, George E. Albin Ranch. Lincoln Fur Farm = Larkspur. Nickson Ranch, George = Perry Park. a.k.a. ; Park Valley Ranch, Nickson Brothers Ranch. Nimerick Ranch, James M. = Greenland. Perry Park Ranch = Perry Park. a.k.a. ; John Dietz Perry, Bela M. Hughes, William E. Hughes, J. George Leyner, Robert P. Lamont, Jr., Walter Paepcke, Boyd E. Cousins, Lee Stubblefield. Salomon Ranch = Greenland. a.k.a. ; Fed Z. Salomon, Salomon Brothers, Salomon Gas, Oil & Coal Company. Starr Ranch= Perry Park. Harry, Tom & Walter. Van Diest, E. C. = Larkspur a.k.a. MacHurst and Diamond G.
Whitehead Ranch= Williamsville and Larkspur a.k.a. ; Waddy Place, Jacob Smith Ranch.